Project first suggested in 2002 may yet go forward as Port of Baltimore vies for hinterland freight movements. CSX Corp. (NYSE: CSX) is reversing course with a pledge of new funding to a long-delayed tunnel improvement project in Maryland, one that will allow the rail carrier to finally move double-stack trains through the Port of Baltimore. CSX, the third largest railroad company by revenue, and the state of Maryland are together committing $290 million to the Howard Street Tunnel project, according to the state’s department of transportation. 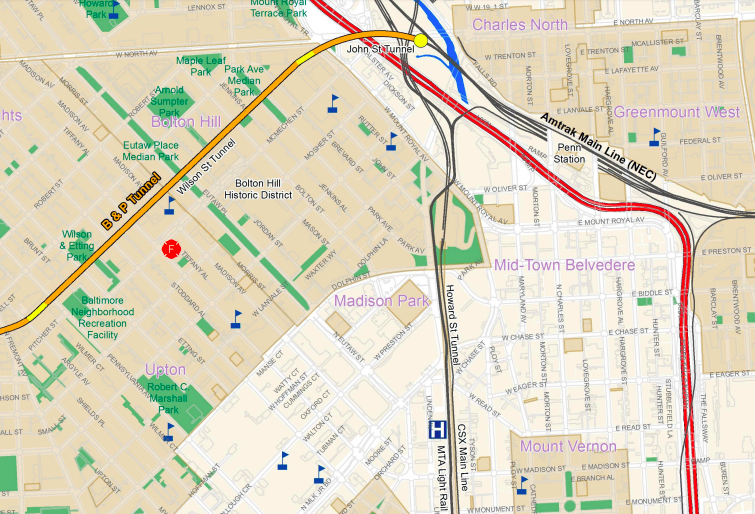 The Howard Street Tunnel is a 1.4-mile, single-track line that connects to the Port of Baltimore. The tunnel is the longest active underground train route on the U.S. East Coast. But due to its low height, the 121-year old tunnel is only able to accommodate single-stack trains currently. A heightening project for Howard Street has been table since 2002 in an effort to reduce traffic on Interstate 95. CSX had pledged to help shoulder some of cost for the tunnel, which it owns. Last year, CSX pulled out of the project, which had an original cost estimate between $1 billion and $3 billion. Maryland politicians started applying more pressure on the railroad to say why it was pulling out. The project has been reworked to notch the crown of the tunnel and lower the floor of the tunnel, substantially dropping the project’s estimated cost to $445 million. 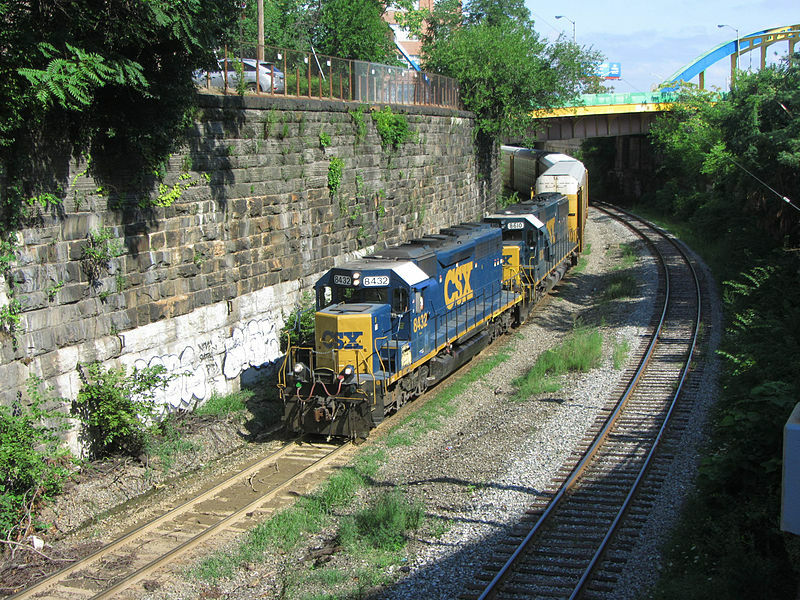 CSX said in a statement that “at the request of the Governor and Maryland’s Congressional delegation, CSX Chief Executive Jim Foote agreed to review whether or not CSX could support moving forward with the Howard Street Tunnel project. CSX’s specific contribution was not mentioned. But Deutsche Bank equity analysts say CSX will commit $91 million to the project. “While the investment is below the $125 million that CSX originally planned to invest, the capital helps narrow the project’s funding gap,” Deutsche Bank said in a report. Maryland plans to get the rest of the funding through a U.S. Department of Transportation grant program. The Port says it could handle 80,000 additional containers yearly once the project is done. Baltimore, the 13th largest port in the U.S. by volume, handles autos and light trucks, farm and construction machinery, imported gypsum, imported sugar, and imported aluminum. Deutsche Bank notes that East Coast ports have seen better growth than their West Coast peers thanks to additional volumes coming through the Panama Canal. The upshot is “a shift towards East Coast ports has the potential to drive incremental demand for intermodal service at CSX, Norfolk Southern (NYSE: NSC) and Canadian National Railway (NYSE: CNI). Larry Gross, principal at intermodal consultancy Gross Transportation Consulting, says the project helps Baltimore better compete with its two largest neighbors, the Port of New York-New Jersey and the Port of Virginia, both of which offer double-stack service. The double-stack service will provide shippers more options to reach the Midwest and Ohio Valley via rail.